A conveniently located, one bedroom, ground floor apartment, close to the communal areas. Lounge with feature fire place and French doors opening out onto the patio area enjoying South facing gardens. Fully fitted kitchen, including fridge freezer and washer/dryer. Bathroom with level access shower. Double bedroom with fitted wardrobe. Spacious entrance hall. Ample storage. A spacious one-bedroom apartment on the ground floor close to the dining room/bar and communal lounge. Light living room with feature fireplace and French doors leading on to the garden. Bedroom with a large fitted wardrobe. Kitchen with integrated appliances. Large bathroom with walk in shower, separate bath, wash hand basin and WC. Ample storage throughout. A conveniently located, one bedroom, ground floor apartment, close to the communal areas. Lounge with feature fire place and French doors opening out onto the patio area enjoying the communal gardens. Fully fitted kitchen including fridge freezer and washer/dryer. Bathroom with level access shower, WC and wash basin. Double bedroom with fitted wardrobe. Spacious entrance hall. Ample storage. This property has been recently decorated throughout. A spacious one-bedroom apartment on the ground floor, close to the dining room/bar and communal lounge. Lounge/dining room with feature fireplace, wall lights and French doors leading out on to the garden. 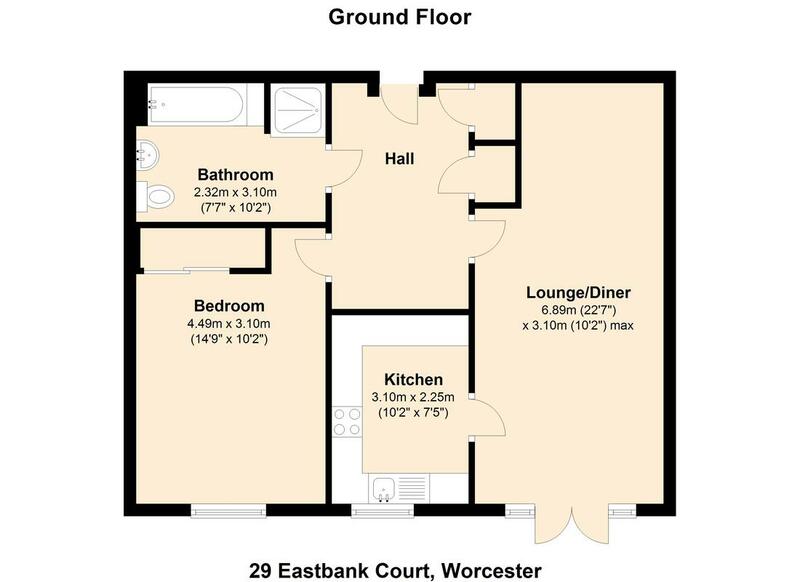 Double bedroom with a large fitted mirrored wardrobe. Fitted kitchen with integrated appliances including fridge-freezer, electric oven and hob. Large bathroom with level access shower, separate bath, wash hand basin and WC. Sizeable hallway with ample storage including airing cupboard and storage cupboard. A bright and spacious one-bedroom apartment on the ground floor. Living room facing the main entrance with French doors opening on to a patio and car parking space. The fully fitted kitchen has integrated appliances that include a fridge freezer, washing machine, cooker and hob. Large double bedroom with fitted wardrobe. Spacious bathroom with level access shower, WC and wash hand basin. Large hallway with ample storage cupboards. A well maintained one-bedroom apartment situated on the first floor. The accommodation includes a lounge with French doors, Juliet balcony and feature fireplace. A fitted kitchen with integrated appliances including a washer/drier. The spacious bathroom includes a low-level bath and separate level access shower, wash hand basin and WC. Ample storage. 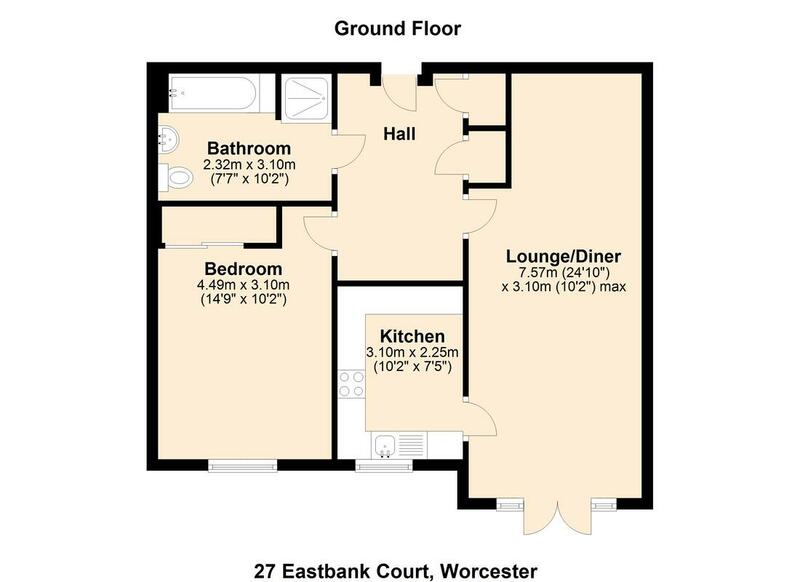 Conveniently situated close to the treatment room, hairdressing salon, library and lift access to the communal areas. A bright, well-presented, one-bedroom apartment located on the first floor. This is a south facing, sunny, corner apartment overlooking the gardens. The accommodation includes a lounge with French doors, Juliet balcony and feature fireplace. A fitted kitchen with integrated appliances including a washer/drier. The spacious bathroom includes a low-level bath and separate level access shower, wash hand basin and WC. Ample storage. Conveniently situated for lift access to the communal areas.